A plan to transform former industrial land in downtown Oregon City into one of Oregon’s iconic destinations has received a major national award. The Willamette Falls Legacy Project’s vision and master plan won the highest planning honor in the national Waterfront Center’s “Excellence on the Waterfront” program, which recognizes efforts to create great places along the water. The award will be presented Oct. 21 during a ceremony at the organization’s annual conference in Washington, D.C. The Willamette Falls Legacy Project is a partnership between Oregon City, Clackamas County, Metro and the State of Oregon. 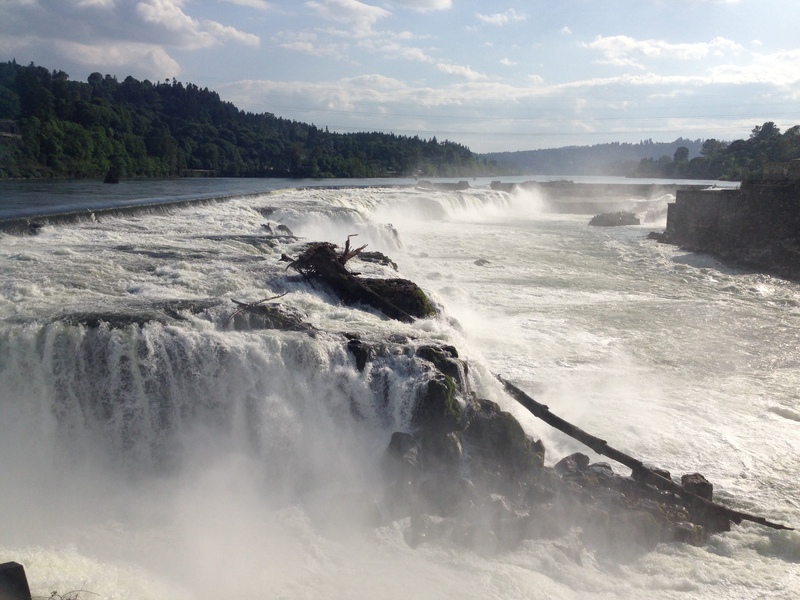 These organizations came together after the Blue Heron paper mill in downtown Oregon City closed in 2011, to seize upon the opportunity to secure public access to Willamette Falls for the first time in over 150 years. The partnership produced the award-winning vision and master plan, along with its consultant team led by Walker Macy and the owner of the project site, Falls Legacy LLC. The vision and master plan, which rezoned the mill site from industrial to mixed use, was approved by Oregon City in 2014. The plan established the project’s four core values as its foundation: public access, healthy habitat, historic and cultural interpretation and economic redevelopment. Project plans include a public riverwalk to view Willamette Falls and a public-private development framework for the entire 22-acre site. “We adopted the riverwalk as the concept, a linear public open space . . . being a catalytic tool for economic development, and the vision was really rooted in that. Now we’re seeing the fruits of it as we move forward to designing it,” said Robertson-Gardiner. The Waterfront Center is a non-profit organization based in Washington, D.C. Its international awards program, "Excellence on the Waterfront," began in 1987 to recognize top projects and visionary plans, with award winners selected by an interdisciplinary jury.